I wouldn’t be a copywriter if it weren’t for the computer. You might be in the same boat. The computer has allowed me to get around my terrible typing skills. I’m a hunt-and-peck typist. So, sometimes – no, make that frequently – my fingers hit the wrong keys. Thank goodness Word flags those typos. The computer has also made editing orders of magnitude easier than it ever was on my clunky manual typewriter. Copy. Paste. Cut. Move. So much easier. A valuable tool or a crutch? This last benefit is also its biggest disadvantage for you as a copywriter. It’s so easy to add emphasis, it’s tempting – oh, so tempting – to let formatting be the force adding excitement to your copy. You want your reader to feel excited about a certain benefit, so you put it in boldface type. You want him or her to know your promise is important, so you bold that, too. Or maybe, for variety, you use italics. This is like much of the copy I see from beginning copywriters. They use typographical emphasis to excite their reader. This is backwards. Before adding any formatting to your copy, your words must be strong enough by themselves to grab your prospect’s attention and convince him or her to act. Your words should be enough. I don’t use italics for this purpose for more than two or three words in a row. I also avoid using it more than three or four times on one page. Boldface: Boldfaced text can add some unvoiced auditory emphasis, but it’s not as effective as italics for this purpose. However, it does make your copy visually more forceful. Boldfaced words jump off the page, so I use them to catch my reader’s attention before he or she’s even begun reading. I don’t like using bold type for more than five words in a row. Any more than that is hard to read. ALL CAPS: Using a long string of type set in all caps is considered yelling in the online world. This has now become the standard in most types of writing. Do you like to be yelled at? Of course not. If you use all caps, I recommend using them for no more than two or three words at a time. More important, avoid long stretches of all caps copy, because it severely reduces readability. I’m sure you’ve seen the “End User License Agreements” when you buy software online. Did you ever wonder why they’re always written in all caps? Perhaps poor readability is a big reason. Underlined copy: Underlining adds both visual as well as unvoiced auditory emphasis to copy. 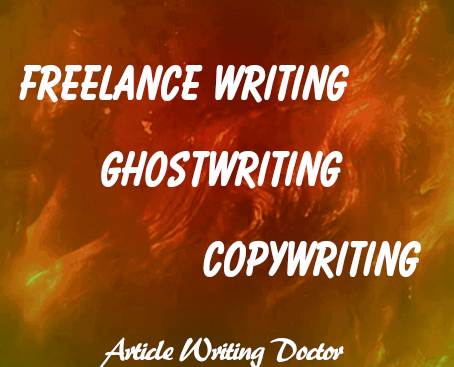 As with the other emphasis types, it makes copy more difficult to read, so use it sparingly. I use underlining to draw the eye to copy on the page more than to put emphasis. I use it for larger stretches of copy than any of the other types of emphasis. But, to counter the readability issue, I underline just the individual words and not the spaces between them. You can do this with MS Word by highlighting the copy, then pressing Control-d (or Command-d on the Mac) and specifying “Underline Words” or by pressing Control-Shift-W (or Command-Shift-W). A word of warning: Underlined text on the web universally indicates a hyperlink. I recommend you not use underlining on web copy except for that purpose. I’d like you to consider a non-copywriting example to guide yourself in using emphasis in your copy: If you love cooking, like I do, you know that too much spice can spoil good food (with the possible exception of Indian or Thai food). So, your first takeaway from today’s issue of The Golden Thread is to add spice to your copy sparingly. But the big takeaway – as I said before – is this: Do NOT overuse any type of visual emphasis in your copy. Let your words carry the beauty and the impact of your idea. Oh, Will! You and I are on the same track. I have a whole chapter in the multi award-winning second book on editing in my HowToDoItFrugally Series of books for writers. These overblown punctuation tricks have become serious editing considerations. I am glad you are on my team! Ha!